SPRINGFIELD, IL – Illinois hunters took a preliminary total of over 151,000 deer during this year’s archery and firearm seasons, which concluded on January 20th. That number is a slight increase from last year’s total harvest, at 147,695 deer in the 2017-2018 season. 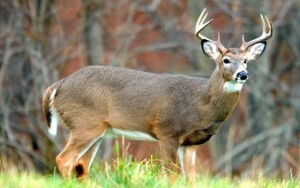 Local hunters in LaSalle and Bureau Counties also saw an increase in numbers from last year, with LaSalle County hunting a preliminary total of 1,714 deer, up around 250 from last year’s total. Bureau County also saw a significant rise, up nearly 150 from last year at 1,861.